Asia Pacific – October 20, 2017 – World Technology Corporation (World Tech), a preferred supplier of capital equipment for commercial and utility-scale solar systems, announced today that it has successfully supplied Tamarack solar pole poles to reomote telecom monitoring sites in Asia Pacific islands. The scope of supply consisted of 238 units of Tamarack Solar’s single arm and side of pole mounts. Tamarack Solar mounts are designed and tested in field applications throughout the world. World Technology is a trusted partner in the supply of innovative offgrid components, and was also chosen to supply 238 side of pole and single arm pole mounts for offgrid telecom and remote monitoring from Tamarack Solar. Pole Mounts are manufactured using heavy-duty corrosion-resistant 5000 series aluminum and allow for quick, simple, and easy installations in the field. Having the right products is only the beginning. World Technology also offers customers a high level of in-field support, including engineering and site planning, PV product validation, and installation training at the jobsite. World Technology can also help you to design a PV system and can work with your EPCs to make sure all technical parameters are met and all equipment arrives at the jobsite ready to be installed with every nut, bolt, and cable necessary for a smooth installation. 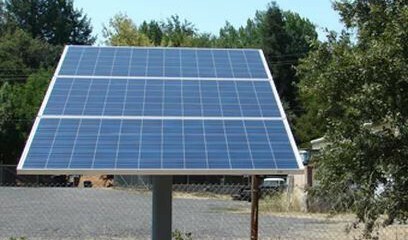 Tamarack Solar Pole Mounts are designed to install quickly and provide a secure mounting structure for PV modules on a single pole. The intuitive design is easy to learn and provides fast and easy installation. Using heavy-duty corrosion-resistant 5052-H32 aluminum components, both the top and side of pole mounts are built to last. 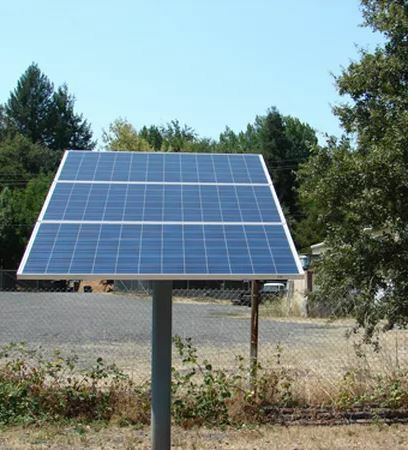 With several different model sizes, the Tamarack Solar pole mounts can hold up to 4 standard sized PV modules. In addition, seasonal adjustability for maximizing energy production is provided by several tilt-angle settings and can be operated by a single individual.